On September 10, 2009, IUPUI Chancellor Charles R. Bantz awarded Rozelle Boyd the Chancellor's Medallion during the IUPUI Board of Advisors Reception at Cedar Crest. Mr. Boyd was known for breaking barriers in Indiana politics. In 1965, Boyd became the first African American elected to the Indianapolis City-County Council and served briefly as president in 2004, making him the first African American and Democrat to hold this position. 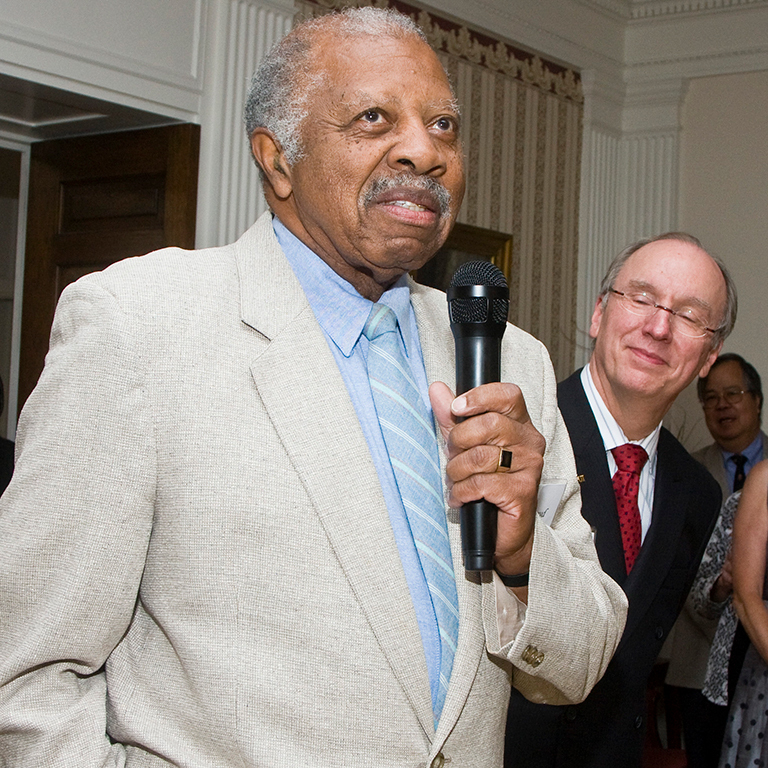 In 2007, Mr. Boyd ended his 42 years of service as the longest-serving member of the council. Chancellor Bantz, Mayor Bart Peterson, and Mr. Boyd created a partnership that produced information and analysis to assist the city in addressing issues ranging from juvenile justice to property taxes and transportation. Mr. Boyd also served as assistant dean for University Division at Indiana University, Bloomington from 1968 to 1976. He added to his responsibility as founder-director to what is now called the Groups Scholars Program, which addresses low attendance rates among first-generation, low-income, and physically challenged students. This program still exists today and helps approximately 300 students each year adjust to college life.